The shopper had to create an account – always allow shoppers to use a Guest Checkout option. You can always give them the option to set up an account later in the order confirmation email. Checkout process was too long, try and simplify the checkout process wherever you can, use one-page checkout if possible and if an customer has logged in to their account pre fill as many fields you can. Customer couldn’t see the total order cost – try and make the full order cost visible on the page don’t let the total become a shock to the customer so they abandon the whole of the cart. Your website had errors and crashed, well you would never want this to happen but sadly it does from time to time and is sometimes out of your control. Customers didn’t trust the site with their card information, with the introduction of secure sites using SSL, PCI DSS and 3D authentication the concerns here should have reduced and improved shopper confidence. You need to give your shopper options for making payments, it is unusual to not have enough payment methods, but it could also be just as bad to have to many and give the shopper too many options to choose from. Surprisingly the reason with the least abandonments is if the Customers card is declined. So what’s the biggest reason! EXTRA COSTS on CHECKOUT the main ones being Shipping, taxes and fees. There is very little you can do about the Taxes. You can do something about the shipping though. Have a clear shipping asnd pricing policy. If the customer has an account try and use the default shipping address to calculate the shipping cost. Make sure the address is accurate buy using a postcode address lookup service like our at www.Postcodes4u.co.uk . This way if the shipping address is changed then recalculate the shipping cost but at least you have included some shipping cost and the overall total doesn’t shoot up significantly at Checkout. Why use a Postcode Address Lookup service? Having an address lookup finder on your checkout to fill in the form for you reduces work for your customer, making it less likely that they will lose interest. With a postcode lookup service, you can reduce this fear; an address lookup service helps give your business legitimacy and helps potential customers know that you are credible when you are using a trusted Royal Mail address database! It is pivotal to build bridges with potential customers by letting them know you care about their buying experience, and an address lookup is a great way of doing that. When a customer sees that you can access their address from a database, they can trust that the delivery process is a legitimate one and that their package will reach them without complications. Royal Mail are putting up their PAF prices on 1st July by 5% BUT we are NOT passing on the increase to you! We are committed to trying to provide the best value to our customers. Royal Mail have quoted "Continued changes to the mix of End User licensing and increased costs mean that we need to review our prices to ensure that we can continue to maintain PAF® accuracy and data quality"
This year we have decided NOT to pass on the increase to you so you can carry on with your business without worrying about increased cost. Please remember if you need any help integrating our service just contact us and our team are only too happy to help. Black Friday and Cyber Monday are huge opportunities for any ecommerce trader. Last year the total spend on online retail sites on Black Friday was £1.23 BILLION so it’s no surprise that this year more websites are set to get involved than ever before! If you’re one of these websites are you prepared? For most e-Commerce businesses, a chief concern is how to transform ‘website visitors’ into customers. In 2015, overall basket abandonment rates were estimated at an astonishing 76.6%! That means a whopping three-quarters of your audience leave before purchasing! Despite these astronomical figures, it is possible to convert some of these ‘abandoners’ into repeat customers. The formula can be difficult to master, but there are a few tricks to use to try and boost numbers in your favour. Here are three ways that an address lookup service can reduce basket abandonment on your e-Commerce site. Most e-Commerce blogs will advise you to simplify your checkout forms; the more work you leave your customers to do, the less likely they are to complete it. Having an address lookup service to fill in the form for you reduces work for your customer, making it less likely that they will lose interest. The web is still a scary place for a lot of users. Even in 2016, some customers still don’t like putting their financial details on the internet. With a postcode lookup service you can reduce this fear; an address lookup service helps give your business legitimacy and helps potential customers know that you are. It especially helps your site’s credibility when you are using a trusted Royal Mail address database! If your checkout forms fail to build trust and credibility, it’s likely that you’re losing out on a lot of potential business. If you’re still not convinced, why not explore www.postcodes4u.co.uk and learn about all the other ways that an address lookup service can be beneficial to your e-Commerce business. No matter how technologically reliant the world becomes, Britain will always need post. 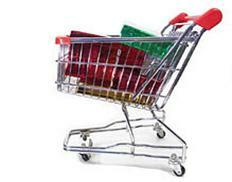 According to figures from the Office for National Statistic, online stores now account for 13.2% of all retail sales. With more and more shoppers choosing to buy online, E-Commerce sites have to rely on postal services to ship their goods, meaning that your customer satisfaction is in the hands of the postman. Unfortunately, as the Royal Mail say on their own website, “sometimes things go wrong”. Royal Mail doesn’t guarantee delivery of items; they lose thousands of letters and parcels every week. The organization claimed 2012 that they receive one complaint per 13,000 items of mail on average. With 15.9 BILLION pieces of mail delivered each year in Britain, we are left with over a million dissatisfied British customers annually. In Royal Mail’s defense, they perform a thankless task. There is a myriad of things that may go wrong, chief among them being incorrect addresses. Addresses can be complicated things to jot down at times, and the likelihood of a mistake either in writing or reading complicated addresses is high. For E-Commerce businesses in particular, this can be a problem. Businesses are often required to pay for lost items, as well as the embarrassment that this causes. All it takes is one item to be labelled incorrectly for customers to be lost. One way to minimize this is by using an address lookup service such as Postcodes4U. 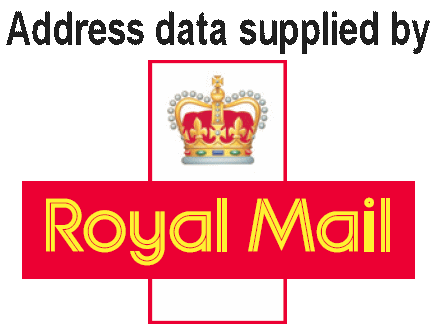 Postcodes4U uses Postcode Address File (PAF®) from the Royal Mail, meaning they use the most up-to-date and complete address database in the UK containing over 28 million addresses. For respectable e-commerce sites, a postcode address lookup is a handy customer service tool. Not only does it minimize time spent filling out address forms, it also assures the customer that their address will be recorded and sent out in a trusted, official format. Postcodes have existed in the UK for over 50 years now. It’s hard to imagine how our mail operated before they came to exist. And yet how many of us truly understand what our postcode represents or why it’s there? When sending mail to a UK address you need to provide a full and accurate address, complete with postcode. The purpose of the postcode is to enable the Royal Mail to sort your post quickly and accurately. The numbers and letters which make up a postcode may seem random at first, but each is significantly vital to tell your street apart from any other. Each section represents your area, district and street in order to make your location easily identifiable via postcode lookup. If you ever need any further information about postcodes, or want to check addresses against the most reliable address database in the UK, visit www.postcodes4u.co.uk. We utilize the Royal Mail's Postcode Address File in order to provide the most up-to-date and accurate address information available in the UK. We might also be able to significantly improve your e-commerce business by minimizing lost parcels and improving your customer satisfaction. Visit us and give it a try.